A guest post by Iva Vukusic in The Hague. In May it will be 20 years since the International Criminal Tribunal for the former Yugoslavia (ICTY) was established as the UN’s response to mounting evidence of wide-spread violations of humanitarian law and gruesome crimes, when images of suffering and ethnic cleansing were being shown on news bulletins around the world. Today, after indicting 161 individual, the Tribunal in The Hague is preparing to complete its trials. The quieter times are, however, occasionally disturbed by a controversial judgment that reawakens ethnic tensions in the region, such as in the cases of Gotovina et al. and Perisic. These decisions of the Appeals chamber caused significant debate in the legal community as well as frustration amongst the victims. When the Tribunal opened it was, on the one hand, facing the pressure of high expectations (some even went so far as expecting that it would ‘reconcile’ the peoples in the region), and on the other, the scepticism that it would never work. It was a court with no staff, no rules of procedure, no defendants and no political weight or influence. The fact that it survived and established itself as an institution at all in a world hostile to efforts to over-ride sovereignty in such matters is nothing short of a miracle. The high expectations melted away with time as the Tribunal continued its tedious work in hundreds and thousands of courtroom sessions, all of it noted down on millions of pages of transcripts. Defendants followed one by one, from the smaller fish to the bigger ones, but the peoples didn’t reconcile. Expecting that they would do this simply as a result of the judgments was too optimistic, even naïve. What a court can do is assist this complex and long-lasting process of rebuilding the shattered fabric of society after conflict by removing those responsible for the worst crimes from public space and establishing a record of the events as they occurred as well as contributing to the effort of finding missing persons and recovering their remains. It also provides some of the victims with a forum where they can share their stories. Based on the experience of the ICTY, we can’t hope for much more. For more significant changes in a post-conflict society, we need various measures working in concert: judicial and non-judicial, retributive and restorative. This has yet to happen in the former Yugoslavia. The political will seems lacking in respect of any serious effort at facing the past. The governments in the region collaborated with the Tribunal because of international pressure, often fulfilling their obligations of capturing fugitives after years of facing isolation and financial losses. In that respect, EU conditionality has proved to be a valuable and effective instrument. As a result, today the ICTY has no fugitives from its justice. 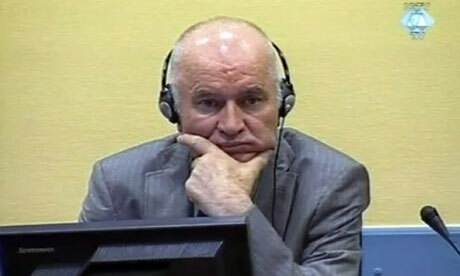 Several judgments are to follow this year and three cases are unfolding in trial: Mladic (in the prosecution stage, focusing currently on the Srebrenica genocide charges), Karadzic (defence presenting their witnesses) and Hadzic (prosecution presenting evidence). The Residual Mechanism and its branch for the former Yugoslavia that will inherit some of the Tribunal’s work will begin operating on July 1st and we can expect all of the trials to be completed in the next three years if the current pace is kept. The biggest fear is that not all the defendants will survive the lengthy proceedings (this mainly concerns Mladic), as the ICTY is keen not to let the same scenario that occurred with Milosevic happen again. The complicated legacy of this institution is twofold. The Tribunal was very successful in changing the paradigm: today there is no large conflict where someone doesn’t demand investigations and prosecutions for alleged war crimes. The ICTY was the first of several courts, the most relevant and the only permanent among them being the International Criminal Court. The ICTY advanced international law significantly (both procedural and substantial) and created an immense archive of witness testimonies, documents, reports, images and videos. It was also instrumental in locating the remains of missing persons, especially immediately after the war. This is a relevant accomplishment that brought some closure to families who lost their loved ones. Faced with many obstacles such as, for example, a lack of state cooperation and having no police force of its own, it accomplished a lot. That being said, the Tribunal is probably regarded as much more successful in the academic, diplomatic and policy circles of New York, Geneva, Brussels or London than it has ever been among the victims in Vukovar, Zvornik, Visegrad or Srebrenica. For justice, the ICTY has done a lot more globally to change the way we think and approach conflict than locally in providing justice to survivors in the villages of Bosnia or Kosovo. At times it seemed like the principals of the Tribunal were looking towards New York and Brussels in their work much more than towards the survivor communities in the former Yugoslavia. The justice it brought was arguably better than nothing, but not very much. What remains quite unclear is why exactly some individuals were investigated and charged and not others and why the Prosecution chose to pursue certain charges and not others in several cases, but those and similar questions on strategy will most likely remain unanswered. We should be careful not to measure the success of the Tribunal and its standing in the region exclusively by opinion polls, because these figures change as the judgments go by. Furthermore, the approval or criticism is not based on knowledge or thorough understanding of the cases, but more often on a superficial idea and misinformation or political manipulation coming through the local media that are often incompetent and disingenuous in the way they cover the trials. Unfortunately, for too many people, the Tribunal is only good if it acquits members of their group and convicts their (former) enemies.